Weighs just over half lb. 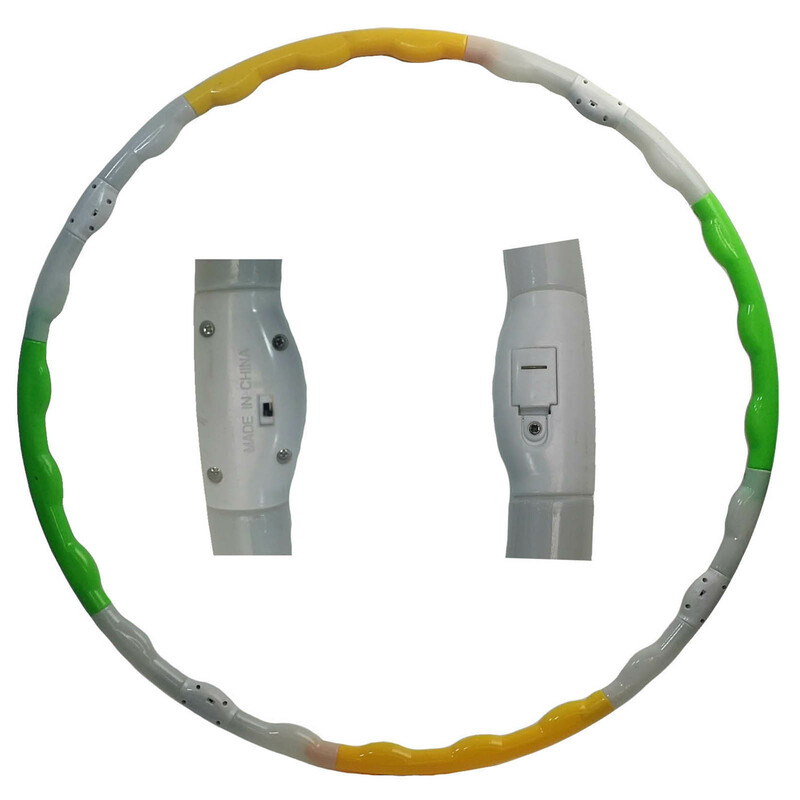 This is a Bulk Lot of 12 Hoops. 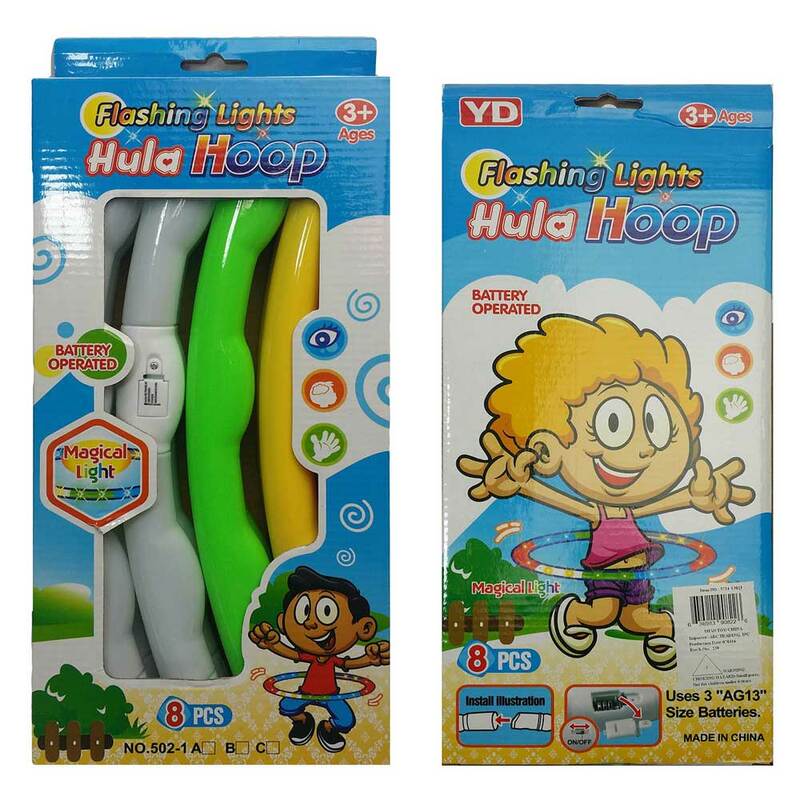 Looking for a great, fun starter hoop for your child? 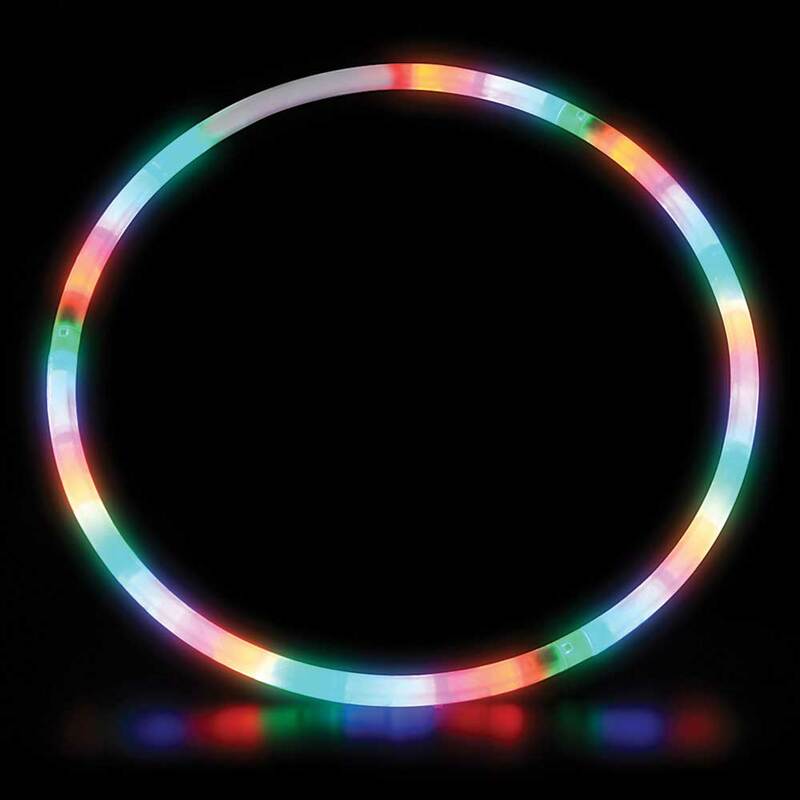 Well check out Flashing Panda's new 32" super light weight, fun LED light-up hoop! 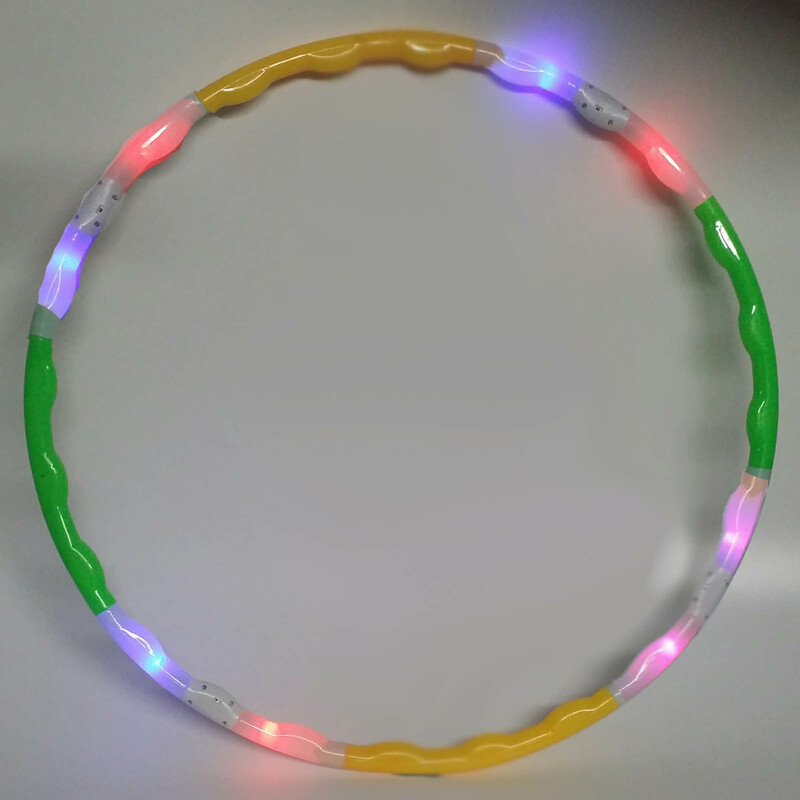 It's like a Hula Hoop, but with colorful flashing LED lights! 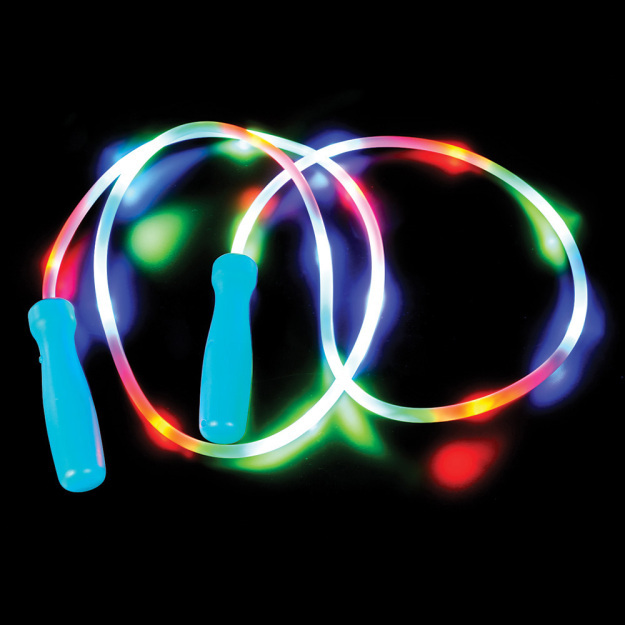 32" diameter and significantly lighter in weight, making it ideal from small children. It comes in a nice gift box in 8 sections. Every other section lights up, having it's own switch and powered by three AG13 (LR44) button-cell batteries (per section). 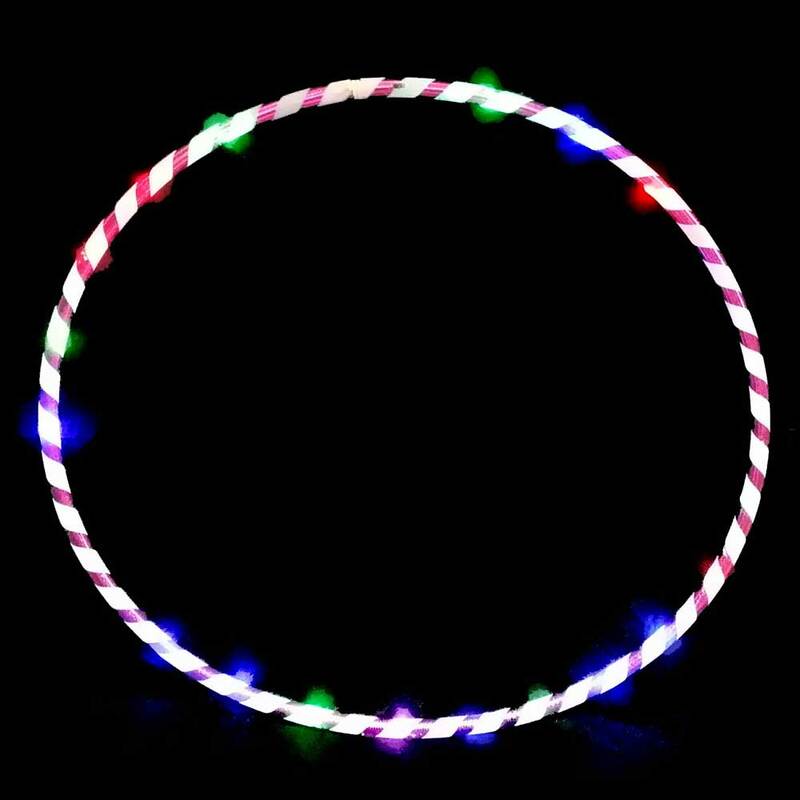 These hoops make a great gift for kids of all ages. If you're looking for a really cool gift, look no further!